This was recently posted at 911blogger. "At the time of the airworthiness approval of the 757/767 (Pegasus â€˜00) FANS 1 FMC, the operational requirements ... for providing ... Dynamic Airborne Route Planning (DARP) based on FANS 1 communication capability were not determined." 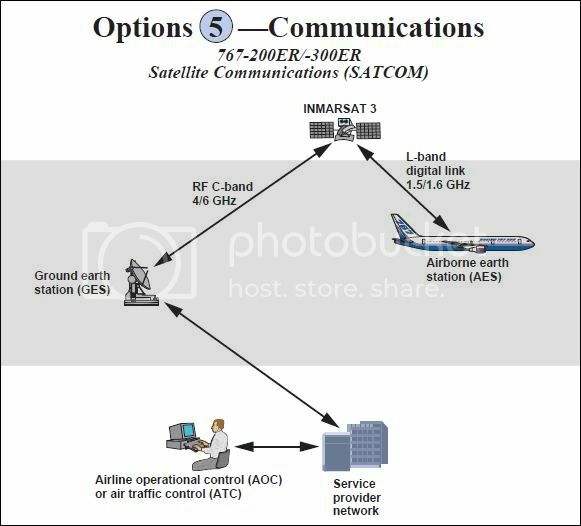 "Planned Airborne Re-route Procedure â€“ DARP (Data link Aircraft): AOC (airline operations center) will plan the re-route and uplink the route to the aircraft, commencing from the waypoint on the current route, ahead of the Aircraft and finishing at destination. Note: Some Flight Management Systems allow AOC uplinks to the Active Route. It is recommended that all AOC route uplinks are directed to the Inactive Route." "The Honeywell "Pegasus" flight management system earned its first FAA certifications March on the Boeing 757, 767 ... Airlines get FANS-1/FANS-A capability ... FANS-1 ... allows operators to obtain more economical routings and to utilize satellite navigation." "Rockwell's Collins Commercial Avionics, based in Cedar Rapids, has made major announcements of the selection of its Multi-Mode Receiver (MMR) landing system by two of the world's leading aircraft manufacturers, Airbus and Boeing ... 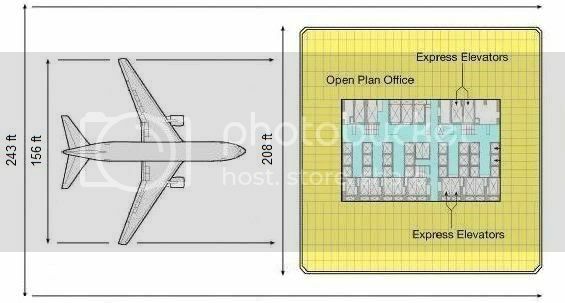 Subsequent certifications are planned for Boeing's ... 757 and 767 ... 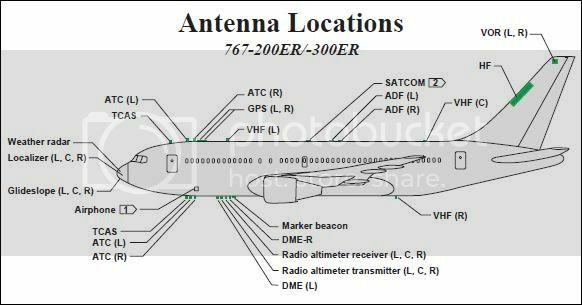 The Multi-Mode Receiver ... expands capabilities required by the air transport industry as the Global Navigation Satellite System (GNSS) is phased into operation." 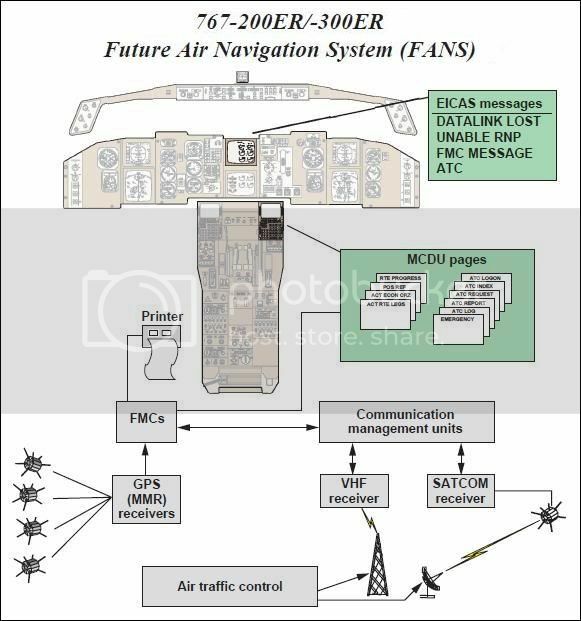 "Operators of 757s and 767s may also choose to upgrade to the recently certified Future Air Navigation System (FANS) FMC (Pegasus), which is Y2K-ready and available. Service bulletins for the 757 and 767 FANS retrofit will be issued upon operator request." "Precise satellite-guided flight paths look like discrete pipelines ... never vary more than 18 meters - half the wingspan of a Boeing 737." "August 24, 2000 - WASHINGTON, DC â€” After a successful 21-day stability test of the Wide Area Augmentation System (WAAS) signal in space, the U.S. Department of Transportation's Federal Aviation Administration (FAA) declared that it is now available." "WAAS also supports required navigation performance (RNP) operations, says Raytheon, providing a precision navigation capability down to RNP 0.02 (an accuracy of 0.02nm)." "Accuracy and integrity are expressed in terms of nautical miles and represent a containment radius of a circle centered around the computed FMC position where there is a defined containment probability level of the actual aircraft being inside the containment radius. For accuracy the containment probability level is 95%." On May 1, 2000 - 16 months prior September 11, 2001 - President Clinton announced that intentionally introduced position and timing errors in GPS data (Selective Availability or SA) would end. SA was implemented to deter abuse of GPS in the national security interest. "Today, I am pleased to announce that the United States will stop the intentional degradation of the Global Positioning System (GPS) signals available to the public beginning at midnight tonight. We call this degradation feature Selective Availability (SA). This will mean that civilian users of GPS will be able to pinpoint locations up to ten times more accurately than they do now ... My decision to discontinue SA was based upon a recommendation by the Secretary of Defense in coordination with the Departments of State, Transportation, Commerce, the Director of Central Intelligence, and other Executive Branch Departments and Agencies.""